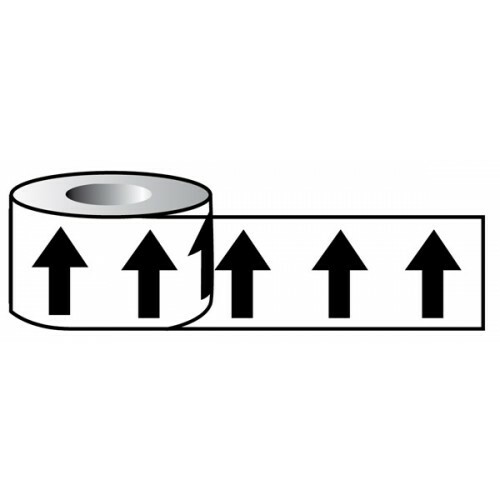 Self-adhesive directional flow marking labels. Simply cut and apply around the pipe using the arrows to indicate the direction of flow inside the pipe. BS 171and BS 48 compliant. 2. Self-Adhesive Vinyl: A high gloss, flexible PVC vinyl with self-adhesive backing. Suitable for applying to most smooth, dry and clean surfaces. Ideally suited for internal signs. Self-adhesive directional flow marking labels. Simply cut and apply around the pipe using the arrows to indicate the direction of flow inside the pipe.BS 171and BS 48 compliant. Material Options Expla.. Unlike other cable lockouts on the market, this device needs no special tools to fix it. If there is slack in the cable once fitted, this can be easily taken out without the need to remove the padlock..